Key West in far lower left corner is 129 miles southwest from Miami in upper right corner. October 19, 2006 Albuquerque, New Mexico – In reply to one of my recent COAST TO COAST AM radio appeals for firsthand information from military or intelligence people about the UFO phenomena, I have heard from two military eyewitnesses about a remarkable radar tracking of UFOs east of Miami, Florida, in March 1967, over the Bermuda triangle region. Neither man is willing to be identified beyond his first name, but the two are cousins who were in the American military in the late 1960s. In April 1966, Bill signed up for Army Air Defense Command called ARADCOM (no longer exists) after Army basic training at Ft. Benning, Georgia. By March 1967, Bill was working as both a missile crew launchman and fire control operator in the Army’s “B (Bravo) ” Battery, 6th Battalion, 65th Air Defense Artillery in Key West, Florida. 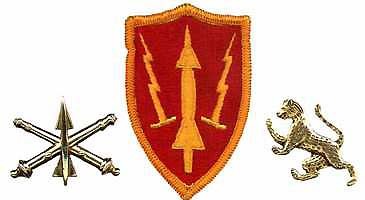 ARADCOM Army Air Defense Command patch in 1967. 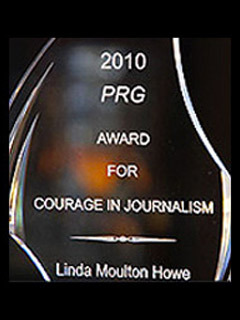 Image provided by Bill. Inside the Battery Control Center, or BCC, was all the radar equipment necessary for watching the Miami skies and launching a missile, if necessary, at a perceived enemy target. 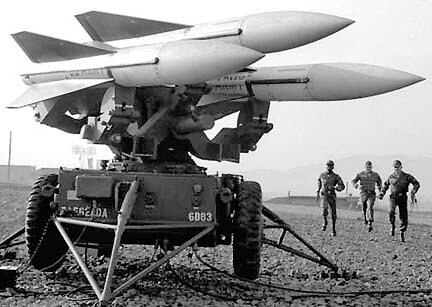 HAWK, “Homing All the Way Killers,” missiles in 1967. 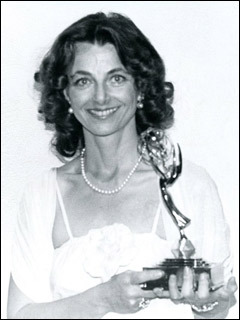 Photograph provided by Bill. 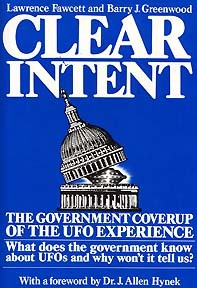 The incident was reported to nuclear physicist and UFO investigator, Stanton Friedman, and published in the book, Clear Intent – The Government Cover-Up of the UFO Experience © 1984 by Larry Fawcett and Barry Greenwood. © 1984. Click here to amazon.com. Fawcett and Greenwood wrote: “The Cuban jets were guided to within 3 miles of the UFO by Cuban ground control intercept radar personnel. The flight leader radioed that the object was a bright metallic sphere with no visible markings or appendages. When a try at radio contact failed, Cuban air defense headquarters ordered the flight leader to arm his weapons and destroy the object. The leader reported his radar was locked onto the bogey and his missiles were armed. Seconds later, the wingman screamed to the ground controller that his leader’s jet had exploded.” But there was no smoke or flame – only disintegration. Within hours, the U.S. 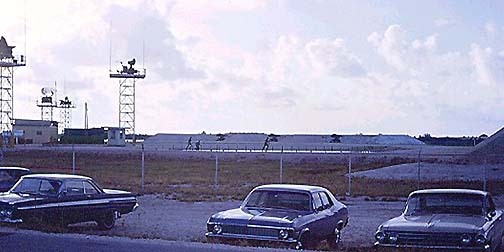 Naval Air Station on Boca Chica Key east of Key West, which monitored all Cuban Air Force communications and radar transmissions, was ordered by the National Security Agency to ship all tapes and data to NSA and to list the Cuban jet’s destruction as “due to malfunction.” But was it really a UFO retaliation to the radar lock on backed by armed missiles? Bill and Dennis were also eyewitnesses to UFOs on American radar in which a lock on a UFO resulted in retaliation from the unidentified object. The retaliation was the instantaneous polarity reversal of all the radar equipment in the HAWK B Battery Control Center in Key West. All of it shut down and much of the valuable American military equipment was damaged. But that night in March 1967, Bill, Dennis, and many others in the Army, Navy, Marines, Air Force, NORAD, Pentagon and intelligence agencies knew the government’s public explanation was a lie. 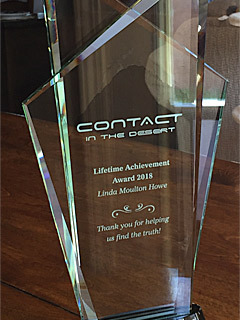 Bill and Dennis talked with me because they know the truth and were only told: “Keep your mouth shut.” The cousins were never asked to sign non-disclosure agreements about the UFOs and radar drama. Bill and Dennis tell what happened beginning around 11 p.m. on a night in March 1967. Their voices go back and forth, beginning with Bill who was in the Army HAWK B-Battery, 65th Artillery, Battery Control Center radar room in Key West. One of four Batteries in Key West region in 1967, “B” (Bravo) Missile Battery was where Pulse Acquisition Radar (PAR) tracked unidentified aerial targets, locked on one, followed by retaliatory energy pulse that reversed polarity on all the “B” Battery equipment. 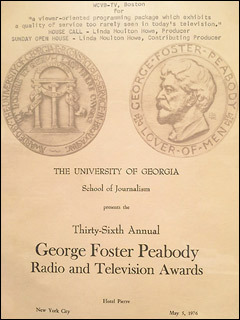 Photograph provided by Bill. 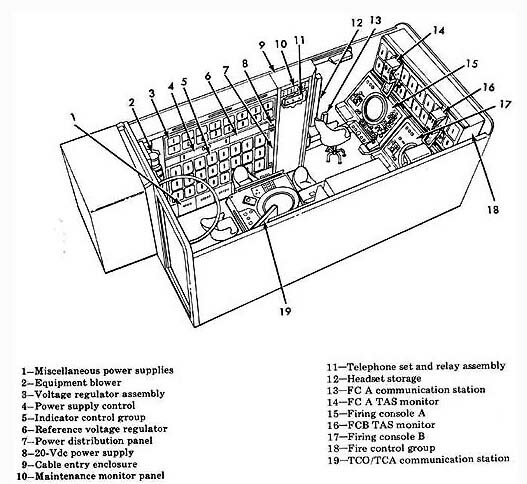 1967 Battery Control Center (BCC) left side cutaway view. Each Battery had six launchers, with three missiles on each launcher. Each Battery had one PAR radar and three fire control radars. The Batteries were capable of operating independently; or if the Batteries worked together, the combination could destroy entire squadrons of enemy aircraft. Historic 1967 diagram source: U. S. Army. 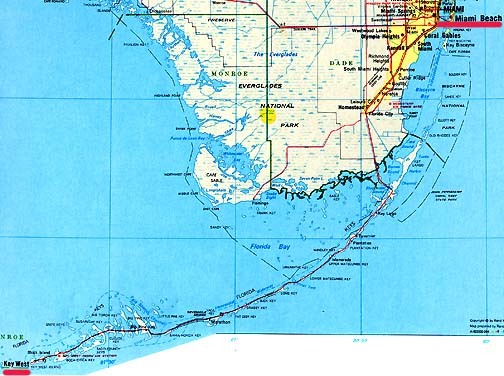 Bill, in March 1967, Missile Crew Launchman and Fire Control Operator, U.S. Army’s “B” Battery, 6th Battalion, 65th Air Defense Artillery, Key West, Florida (about 129 miles southwest of Miami): “My cousin, who was also in the military, was in the United States Air Force. My cousin was in communications for the North American Air Defense Command. Since I was part of NORAD, too, we would get in there and chat because we grew up together. We were like brothers. So, we would chat on the COMNET. We would chat on the NORAD net. Well, one night, he went away. He said, ‘I’ve got to take something.’ He came back and he said, ‘I want to let you listen in on something, but don’t say nothing.’ So we opened up the COMNET and I heard chatter between various air defense locales about unidentified targets – bogies – off the coast of Florida. I believe initially they were like 150 to 200 miles east of the Miami-Dade County area (Bermuda triangle region). In 1967, F-104 was fastest jet, having broken one speed record at 1,400 mph. And the targets were clear. There were three or four targets and they were east of Miami. Just as I brought the radar up, I noticed what appeared to be jets from Boca Chica Naval Air Station, which was in Key West, were being scrambled and headed north. The jets were heading north toward Florida. 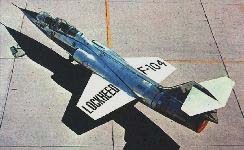 U. S. Naval Air Station on Boca Chica Key launched F-104s after unidentified targets under orders by NORAD in Cheyenne Mountain, Colorado, as Bill and Dennis listened on the COMNET and NORAD net. Map provided by Bill. At the time, Homestead AFB, which is in Miami, was a SAC base – Strategic Air Command – and a very, very secure location. These items out there in the Atlantic really got them upset because that’s close to their SAC base. The first thing that I noticed that was really amazing was that as the Phantom jets leaving Boca Chica got close to the bogies – probably 40 miles away – the bogies simply disappeared. Dennis: “When the UFOs were just hovering over Miami, there were several of them. Then all of a sudden, they took off – off my screen and went to Bill’s. WHEN THEY WENT OFF YOUR SCREEN, THEY WERE DOING 5,000 MILES AN HOUR? According to the radar, yes. AND BILL SAW THEM AT LEAST DO 1,100 MPH. Bill: “They just disappeared. Now, with a pulse acquisition radar (PAR) that is sweeping through an arc every few seconds – probably every 15 to 20 seconds – there is only one way for an aircraft to do that (disappear). You have to either go straight up, or straight down. If the bogies went in any other direction than that, I would have picked them up on a sweep. I would also have seen their trails. So, they just disappeared. Now, I have no idea what the communications was with the fighters there on a completely different network. But the fighters remained in the area awhile and then came back. When the jet fighters were about 50 or 60 miles south of Miami, the bogies returned the same way – between sweeps. That means they returned to the location, either going straight down or straight up. They just popped up again. This kept going for two or three hours. And as I watched the bogies track their various routes, in my mind it looked like they were searching. It looked like some kind of a search pattern because they were definitely working a grid. Every time the jet fighters would come to check them out, the bogies would disappear. Now, when I finally got to talk to Dennis again, he told me the local radio was talking about people who were seeing these UFOs, these bogies. People were calling in about UFOs over Miami. So, now we were getting not only our electronics feedback, but people were actually visually seeing things. Dennis: “There were several sightings in the Miami area on different occasions. But this was the first time that we actually picked them up on radar. They were traveling at very high speeds. We had nothing that we knew about at that point that could do that speed. BILL SAID THAT THIS WENT ON FOR THREE TO FOUR HOURS. IN ALL THAT PERIOD OF TIME, WERE YOU LISTENING TO THE VOICES AT NORAD AND CAN YOU REMEMBER WHAT WAS BEING SAID? Well, we were all flabbergasted. But when we saw them start speeding up, we did contact NORAD. That’s who we were under – North American Air Defense Command. WHEN YOU CONTACTED THEM, WHAT DID THEY SAY? WHAT DID YOU HEAR THEM SAY? They were able to see every scope in the United States – every one that was online at that point. They could see the same thing we were seeing and we were talking to them. At that one point, the commander that was on duty that night at Cheyenne Mountain – he went ahead and scrambled the F-104s. We didn’t have anything faster than an F-104 back then in the 1960s. WHEN THEY SAID, WE’RE GOING TO SCRAMBLE – DID YOU HEAR ANY CHATTER AT NORAD ABOUT THESE BEING UFOS? 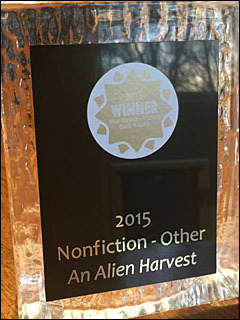 DID YOU ALL THAT NIGHT UNDERSTAND THAT UFOS FROM NORAD TO MEAN SOMETHING EXTRATERRESTRIAL? BECAUSE THERE WAS NOTHING ELSE. Bill: “After awhile, one of the bogies broke off and headed south. He headed straight toward our location (in Key West). The other three or four were just flying their grid. I was curious because now I had a good track between sweeps and any radar operator can watch a target move between sweeps and have a pretty good idea of how fast it’s going. In my mind, I was thinking this thing is moving about 1,100 mph. Now, in 1966, 1,100 mph was not done every day! (laughs) It is now, but not in 1966. I used to track B-52s and Phantoms. Again, I won’t tell you the maximum speeds they got on them, but it wasn’t nowhere near 1,100 mph. Now, we have another radar that I’ll tell you uses something called the Doppler Effect. What happens with Doppler, if you can listen to it, it’s when the signal comes back, you can actually hear the target. It’s a little bit distorted, but I could definitely pick out helicopters, you could pick out turbo jet engines, you could pick out jet engines. After a long time on the scopes, you could hear it and pick them out. So we knew what they sounded like. Whoever was in that craft KNEW that he was locked on. And he shut us down. He shut us down by reversing – what appeared to be reversing the polarity of every piece of equipment on the site. That lead to complete system failure and a lot of damaged equipment. And just as I was trying to turn the equipment off so it would not be damaged any more, one of the launcher crewmen who were outside – guys who are out on the pads – came running into the BCC and said, ‘I saw it! It just went over. It was moving like a meteor. It looked like a meteor!’ And it went north to south out of sight. What happened interestingly the next day, we were advised the entire event was a NORAD drill and that we should disregard everything and consider everything confidential. Dennis: “NORAD was talking back and forth to us and they were as flabbergasted as we were about the speeds we were seeing. There was no way the bogies were from Earth because they were going too fast. We knew the Russians and the Chinese and whomever did not have air traffic that could go that fast. DID ANYBODY AT NORAD TALK WITH YOU ALL ABOUT WHAT THEY MIGHT BE AND WHERE THEY MIGHT BE FROM? No. They hushed it up after that. They didn’t want to talk about it and they told us that we weren’t supposed to talk to the press or anything about it. DID THEY EXPLAIN WHY IT HAD TO BE HUSHED UP? HOW MANY TIMES DID YOU EXPERIENCE THAT IN YOUR MILITARY CAREER? Oh, three or four times. AND SOMEBODY SAYING THIS DID NOT HAPPEN? Right. For some reason, the UFOs liked to hover over Miami. I don’t know what they were doing. Nobody seems to know. But that one night – I got on the phone with Bill because we (in Richmond) had a direct line to Key West because we had another Army site right next to us that had missiles, also. We had no missiles on our site, but the Army did right next door. So, they were getting their missiles ready, too. They had the same type of setup as Bill had down in Key West. 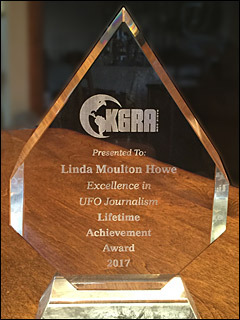 When the UFOs went down south over Key West, I was talking to Bill while he was tracking and all of a sudden, I lost contact with him. THAT’S WHEN THAT PULSE OF WHATEVER ENERGY…? Bill: “Whatever it was – and only God knows what it was – it was visually seen along with electronically tracked. So, it could NOT have been targets that NORAD was putting up. The things that didn’t make any sense was there were too many units involved. You had the United States Navy or Marine – whoever flew those jets from Boca Chica Naval Air Station. You had the Air Force. You had NORAD. You had radio stations in Miami. It happened! There is no denying it. I know there are hundreds of other members from the North American Air Defense Command that know what happened that night and can tell you the same story. It was an amazing thing! I stood outside of that BCC and I looked into the sky and I realized that I had experienced something that had changed my life because I KNEW I’m one of the only people on the planet – several hundred of us – that know there is something flying around our skies. I know what I saw on the scope. I know it was there. AND THAT IT APPEARS TO OPERATE WITH SUCH INTELLIGENCE THAT IT CAN PLAY CAT AND MOUSE FOR THREE HOURS WITH AMERICAN JETS AND THEN KNOW IT’S LOCKED ON BY YOUR PARTICULAR RADAR AND COUNTERS THAT WITH SOMETHING THAT DAMAGED ALL YOUR EQUIPMENT. Yes, countered it with something that was absolutely – as a Fire Control Operator, I had seen all kinds of electro-counter measures, ECMs. We continually played tag with the Air Force. They probably still do – Air Force bombers and Air Force fighters will attempt to penetrate our air space for testing and we played games with each other trying to do electro-counter measures against each other. This (that night) was something I had never seen. It was something that no one I’ve talked to has ever seen. It took incredible power to do what it did. But the interesting thing – the thing I always thought about was: it disabled us without hurting anyone. If it had that much power, it could have just put us away, I think! (laughs) But it disabled our capability to hurt it without hurting a single person. If you can imagine taking your car while it’s running, taking the battery terminals off and reversing them. That’s pretty much what happened. The polarity reversed on much of the equipment and I have NO idea what could do that. AT THAT POINT, DID ANY SUPERIOR OFFICER COME RUNNING IN AND SAY, ‘X IS GOING ON’? Dennis: “They had special devices on the radar to photograph anything that we saw on that radar. Everything that night that was photographed was sealed and marked TOP SECRET and I don’t know where it went from that day forward, whether it went to NORAD or went to Washington, D. C.? I don’t know where it went. Nobody told me. BUT YOU SAW WITH YOUR OWN EYES ‘TOP SECRET’ ON WHATEVER THE FILM WAS PUT IN? THAT ALSO CONTRADICTS THE IDEA THAT THIS WAS JUST A NORAD EXERCISE, DOESN’T IT? Yes. NORAD came on the line and told us it was no exercise. BUT YOU ALL KNEW THAT WAS A LIE. 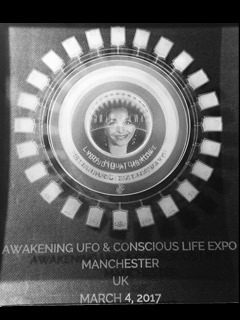 For registration information, please go to www.ufoconference.com. This is an excellent conference that Ryan Wood of Majesticdocuments.com produces. 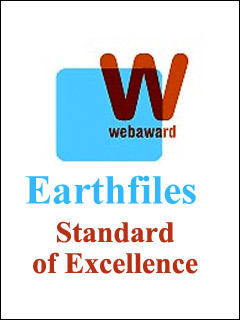 I highly recommend it to COAST and Earthfiles listeners and viewers. 07/17/2006 — Area 29 – A Reverse Engineering Center of E. T. Technology? 06/07/2006 — Gary McKinnon: An Electronic “Robin Hood”?